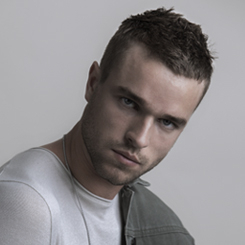 Coloured or chemically treated hair can need special care. 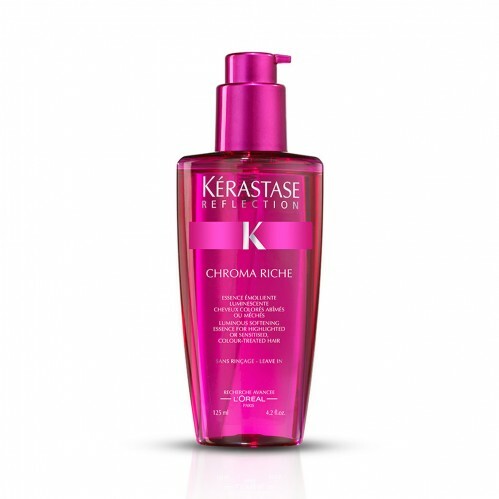 Give your dehydrated hair what it needs with the Kerastase Fluide Chroma Riche 125ml . This leave-in essence works to add protection to damaged hair and inject it with hydration, making it feel soft and glossy again. 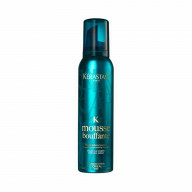 The Kerastase's micro-emulsion works to deeply penetrate the hair fibre, adding moisture and repairing damage. Your hair is easier to manage, and looks healthy, with your colour being brought back to life with a glossy shine. 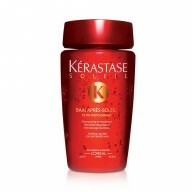 The revolutionary Aqua-Ionic System from Kerastase works to fill the hair fibre with active emollient. Shine adding ingredients make for a glossy finish and lock out humidity. With an added UV filter and essential Vitamin E, damage caused by free-radicals is limited and your colour protected from photo-oxidation. 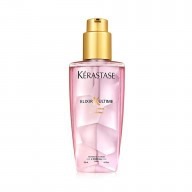 Apply around 1-2 pumps to towel dried hair, concentrating on the mid and end lengths. 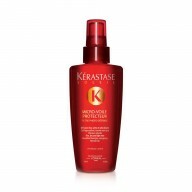 This is a leave-in product, do not rinse, style as normal.